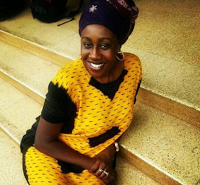 Jackline Nyaminde popularly known as Wilbroda or Awilo is one of the most talented actresses in Kenya and I bet that most people don’t know her other side of life. Below are 10 amazing things that you probably didn’t know about her. In another life she would be a musicianIf she didn’t follow theatre, Nyaminde would have been a musician.“I wanted to be a musician, and it is something I am still passionate about. Back then, I did a lot of background vocals for Makadem, Idi Achieng, Eric Wainaina, Olith Ratego, Mumbi Kaigwa among other artistes.”Time, according to Nyaminde, is the biggest challenge she’s faced in following her musical ambitions.